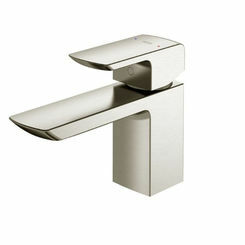 No bathroom is complete without the installation of one of our high-quality bathroom sink faucets. 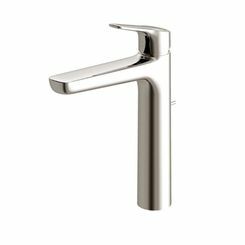 With our extensive selection you will surely find the configuration and features that best fit your needs: two-handle vs. single-handle, finish, spout height, etc. 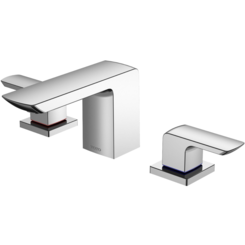 You need to make various considerations when selecting a new bathroom sink faucet. For example, the configuration needs to match your sink. If you want a two-handle faucet, you need a 3-hole setup (or you need to drill more holes). 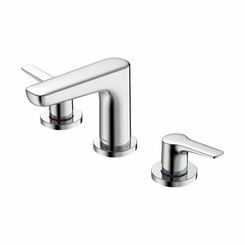 Two handle faucets look great, but single-handle is more user-friendly because you can adjust the temperature while your other hand feels the temperature of the water. 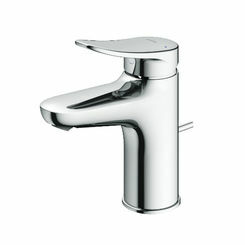 Your installation will likely require a deck-mounted faucet, but we also carry nifty wall-mounted faucets. One thing that is often overlooked by online shoppers is spout length as well as height. Obviously, you need a faucet that reaches over the sink bowl, and most will be a match in this regard, but it’s not always the case. One of the key decisions you’ll have to make is picking a style that matches your bathroom and sink. 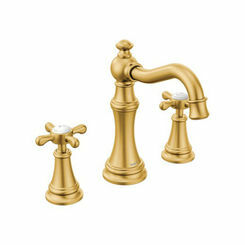 Some faucets will look good with a claw foot tub, and if you have a vessel sink, most faucets won’t offer enough clearance. Choosing fixtures all from the same collection is a great way to ensure everything matches and looks spectacular. Chrome – this is the most common finish in the USA right now. It offers ubiquitous style that will match almost any bathroom. It goes with white porcelain and modern bathrooms as well as simple, existing bathroom designs, so you don’t have to worry about committing to a complete update. 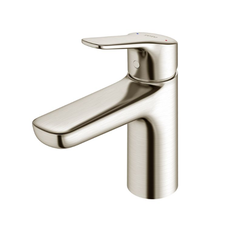 Brushed Nickel - this finish offers a more modern look while matching a wide range of sink options. 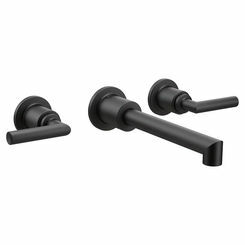 Oil Rubbed Bronze – an expensive option, oil rubbed bronze looks elegant, and it’s ideal for luxury master bathrooms and homes with a rustic feel to them. Stainless Steel – the industrial look is in right now. Polished Nickel – this looks a lot like chrome but has a little more of a matte finish to it. Gold – it’s making a comeback. 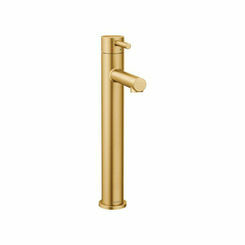 Gold finish fixtures had been out of mode for a long time, but now it’s back, and it looks cool with the current trends in interior design. 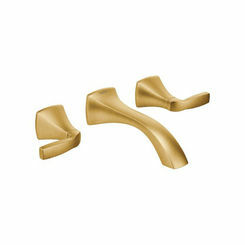 We are selling more and more gold finishes each day. Green is good! 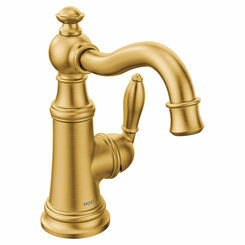 When you are picking your faucet, remember that—historically—faucets are one of the biggest water wasters in the home. High flow rates and dripping nozzles can result in quite a bit of money wasted on the water bills. You need an environmentally friendly faucet. 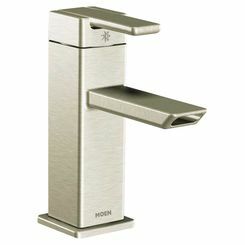 Many of our brands offer green initiatives for all of their products—like Moen, who has made it a point to manufacture only efficient faucets. Gallons per minute (gpm) is the measurement of flow rate. The standard for faucets varies from state to state, with California having the strictest requirement of residential faucets operating at 1.2 gpm. The EPA’s WaterSense faucet certification flow rate is 1.5 gpm. One thing you may want to consider is an ADA-compliant lavatory faucet. What this essentially means is the handles are levers as opposed to knobs. Levers are more manageable to operate for people with disabilities while grasping and turning a knob can be difficult. 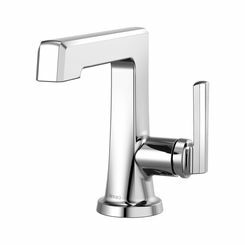 The most common types of faucet controls are in fact levers, and you’ll see both single-lever and two-handle configurations. Cross handles are 2-handle configurations, and if you look down at the handles, they look like Xs. Knobs are self-explanatory, and function the same way cross handles do. Joysticks are futuristic, and not very common, but will make your bathroom look like it's on the cutting edge of plumbing technology. Push buttons are recommended for commercial use because they help prevent waste. Touchless means motion activated, and there is another alternative, which is touch-activated. 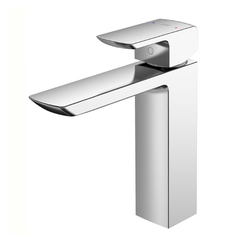 Typically, the way that works is the last temperature selected will be the default, and the faucet can be turned on with a simple touch of the spout. 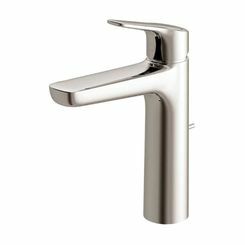 Is the faucet you are choosing easy to install? 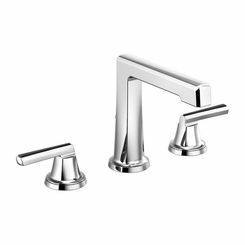 With all the various bathroom sink faucet features to consider, consumers tend to forget about the installation. There are many other questions to consider. Is the connection threaded or compression? Does the faucet come with a drain included or do you need to buy that separately? 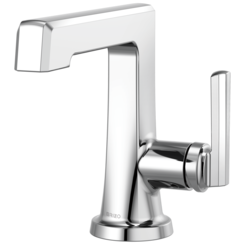 Do you need faucet supply lines for your new install (high-end faucets tend to come with supply lines)? Every warranty is different, so consult the manufacturer's guidelines when making a final purchasing decision. Many warranties will cover various defects, but the good ones cover your faucet finish, as well. 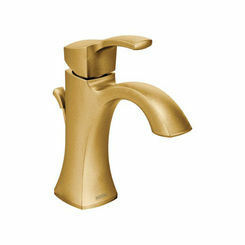 Ideally, you would get a lifetime warranty on the faucet body, cartridge, and finish. Keep in mind that some manufacturers are harder to deal with than others when it comes to warranties and returns. 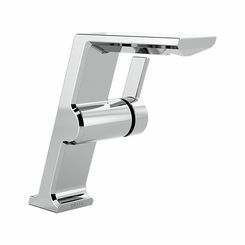 Remember, PlumbersStock.com offers some of the highest quality faucets around, and we can get you the one that you are looking for whether it’s a standard configuration or something specific like a wall-mount bathroom sink faucet. 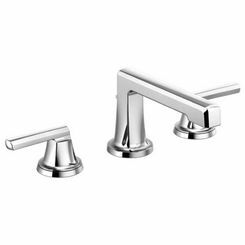 Save on a new lavatory sink to go along with your faucet, and get matching bathroom accessories, too.